Well, more precisely, in Puerto Banús. 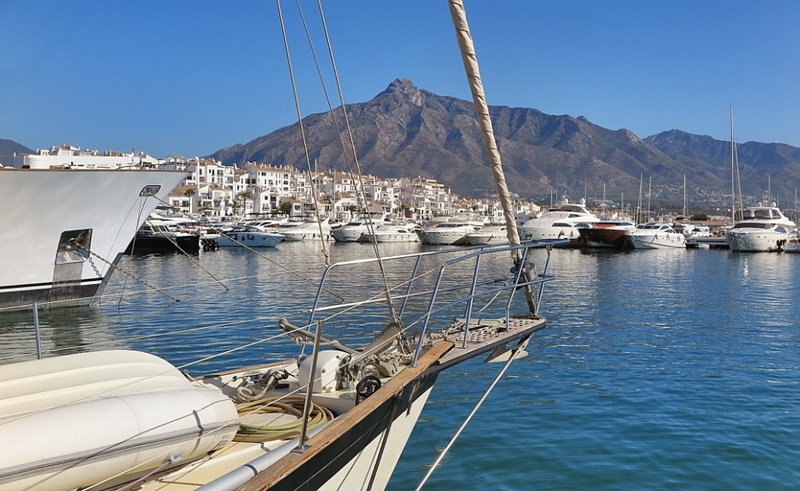 Although Marbella is the centre of the action on Spain’s Costa del Sol, it’s the port city of Puerto Banús (left) where you find a harbor littered with luxury yachts, and the dockside is home for the luxury cars driven by the yacht owners. During my visit I had an enlightening conversation with the owner of a luxury tub, who also drives a Bentley CGT convertible. His crew sail the hedge fund manager’s yacht from London to Marbella, and the caretaker of his Canary Wharf penthouse drives the Bentley down, so it’s at his disposal when he flies in on his time-shared private jet. His motor yacht gets parked up alongside all the other marine toys on display in the harbor, and it appears they don't move offshore very often - the owners preferring to treat them like an alternative to renting an apartment. 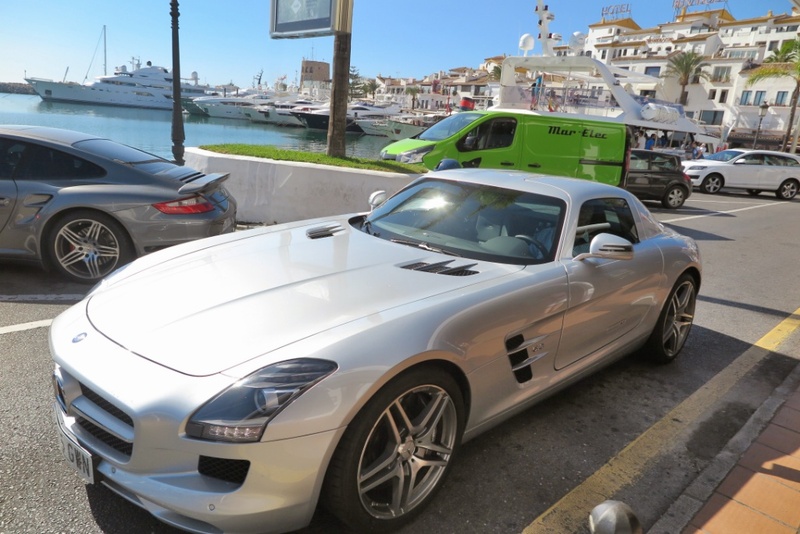 As we were talking, his wife joined us to say she was taking the Mercedes-Benz GT, which she had rented for a month, to go shopping along The Golden Mile! 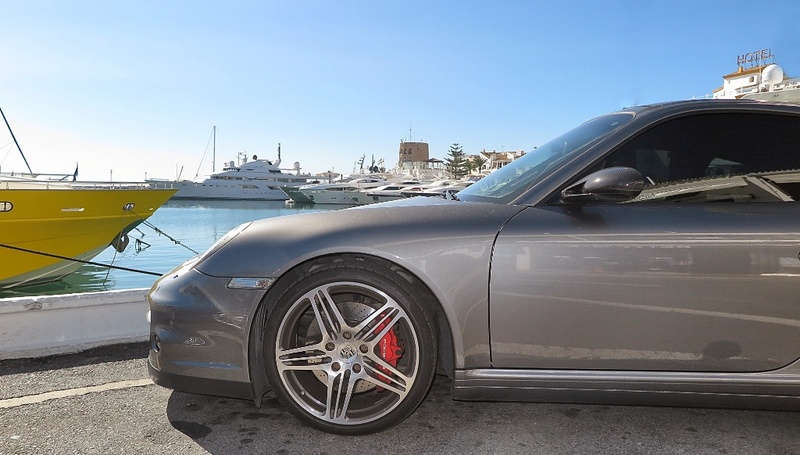 That’s the way life goes in Puerto Banús. The static population of the Marbella municipality is around 150,000, but swells considerably during the northern summer, to around 280,000 sun-seeking souls. Most of whom are either Brits or Germans. Those pre-Christian sailers and traders, the Phoenicians, lobbed there in the 7th century BC, and they were followed by Roman occupation, and later the Moors settled there in the Middle Ages. One can only assume these various civilisations were attracted to the sun, sand and blue sky. 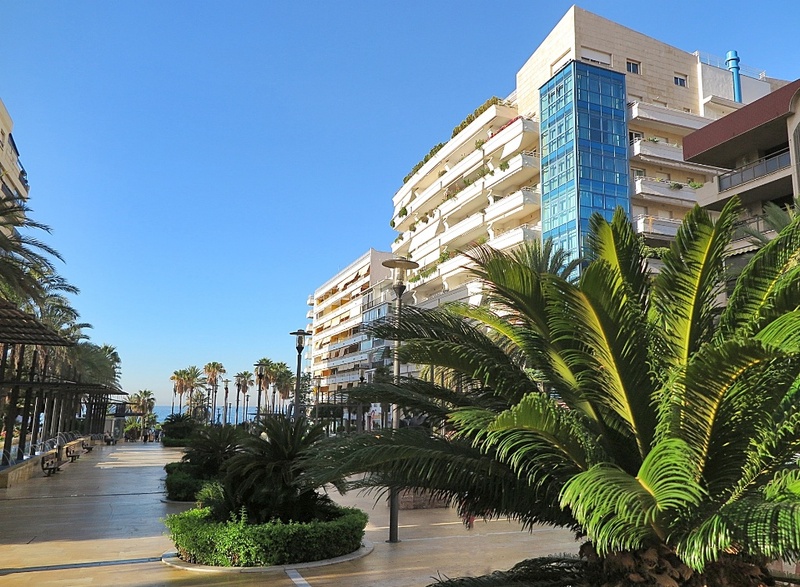 Today the area is defined by attractive public spaces, and huge apartment buildings which will set you back up to €8,000 a square metre if you want a view of the Med, with three ensuite bedrooms! 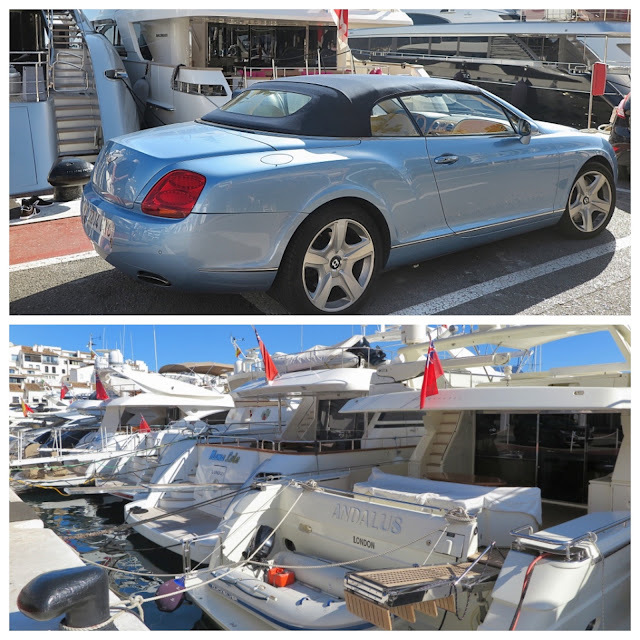 The main harbor at Puerto Banús is bursting at the seams due to a shortage of berths for super yachts. If you have a more modest craft you may find a mooring, but the big boys are fighting for space. Tourism started in a small way after the First World War, and by the mid-1920s a couple of luxury hotels graced the seashore, but following the Second World War the population numbered barely 1000 people. It wasn’t until the mid-1960s when tourism really exploded, and residential development took off, boosted by wealthy Brits seeking sunshine, and an escape from punitive British income taxes. The temporary residents of Marbella and Puerto Banús include the famous, and the nefarious, because where there’s money, there’s notoriety and nasty types looking for innovative ways to separate wealth from the filthy rich, to just plain filthy conmen. However, if you can scrounge up the cash, Puerto Banús is a cheaper alternative to Monaco for a Mediterranean getaway pad, and the Spanish make very decent red wines too.